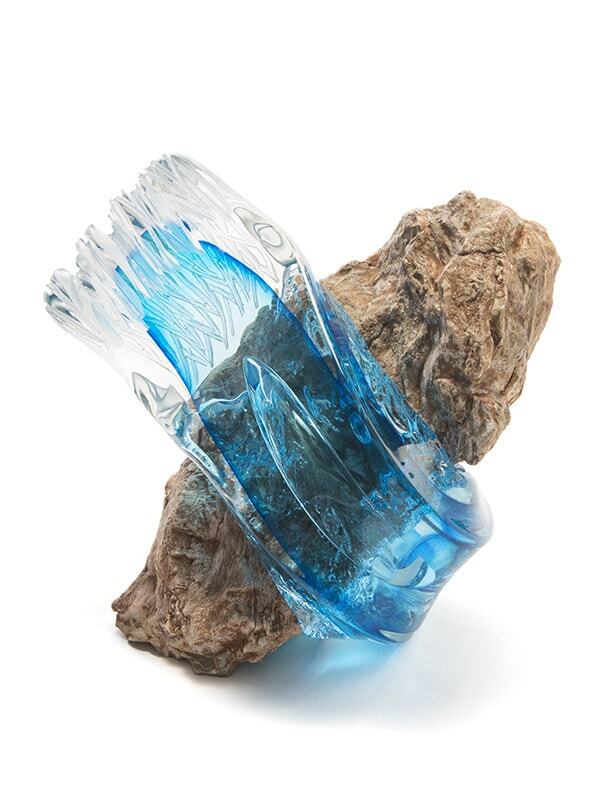 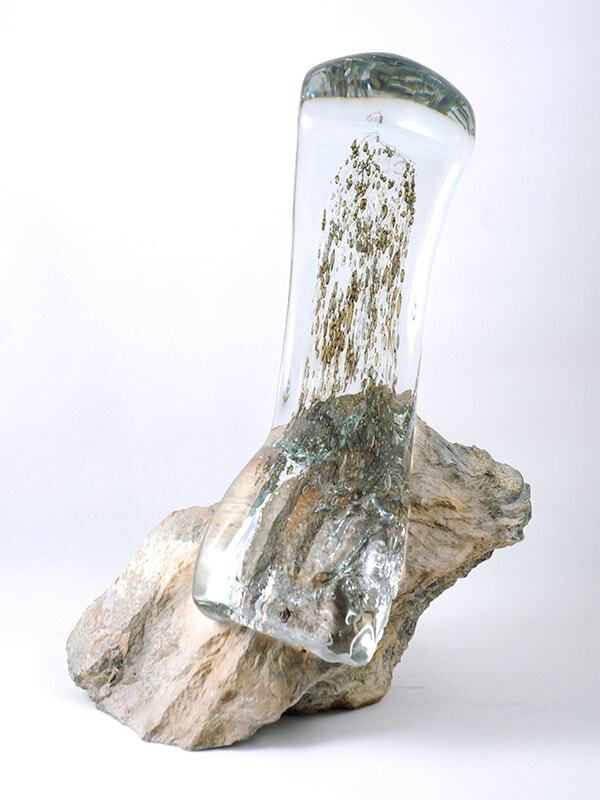 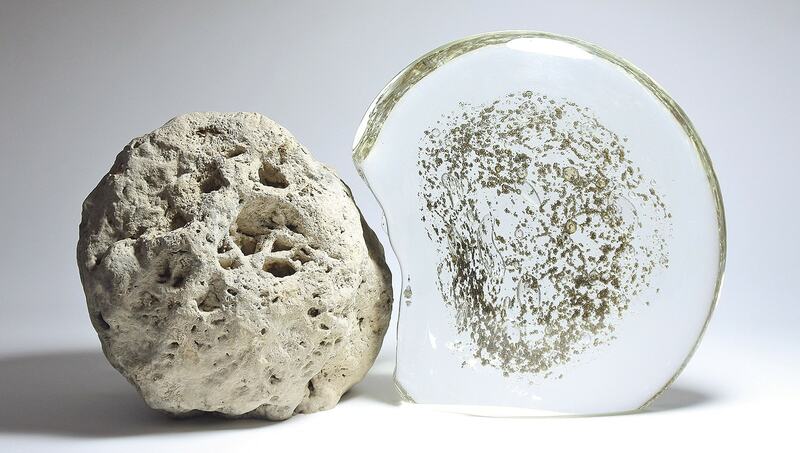 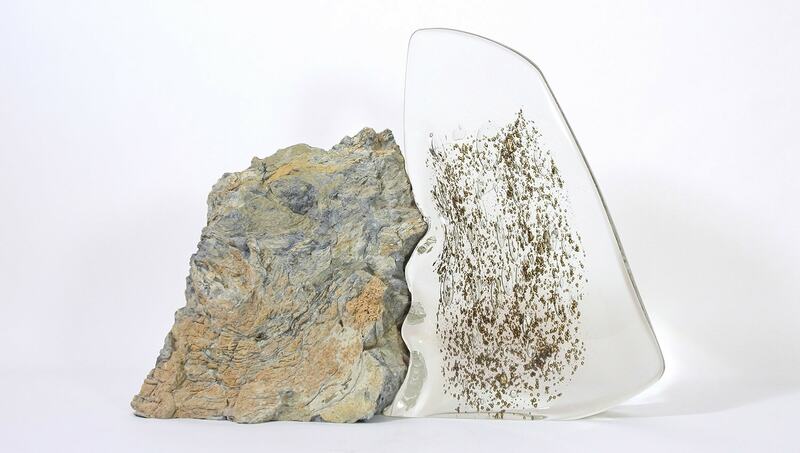 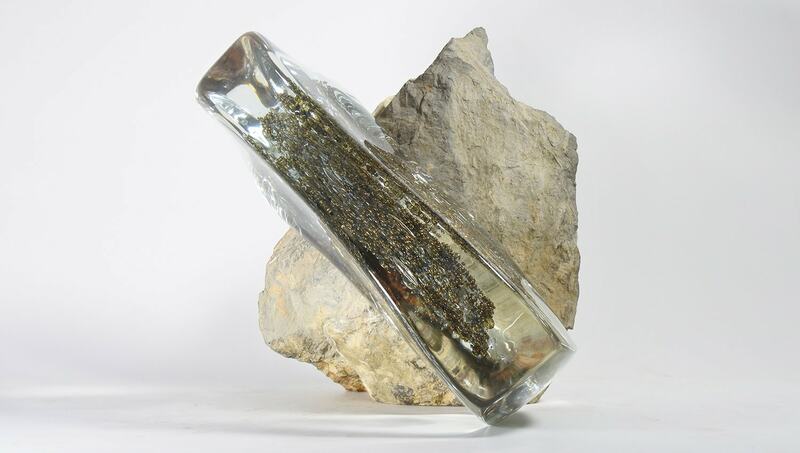 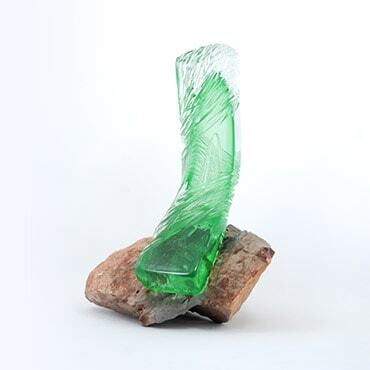 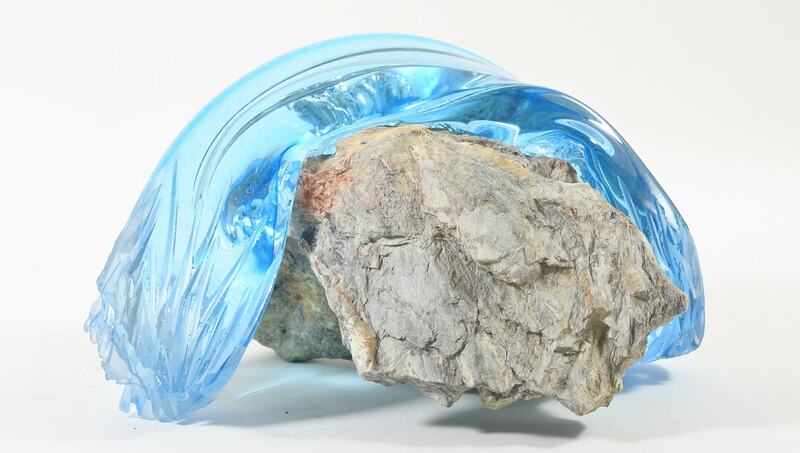 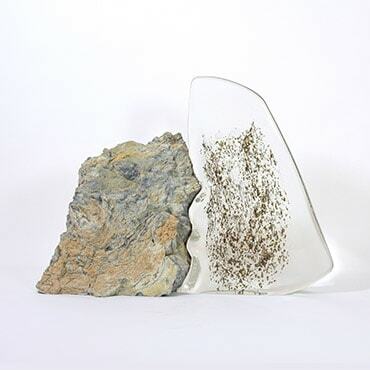 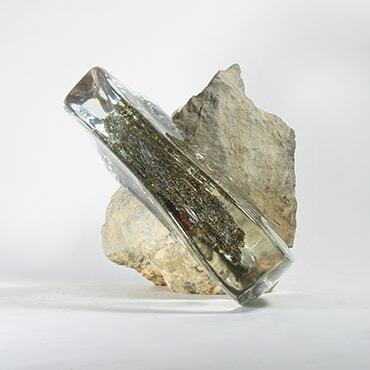 These massive sculptures combine stone at its rawest with a fluid, smooth and luminous glass. 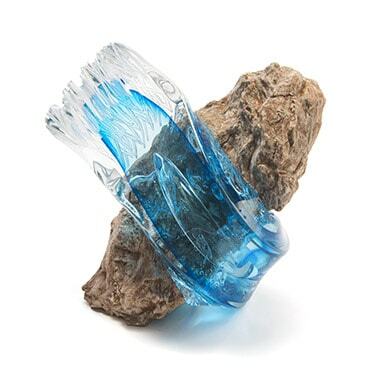 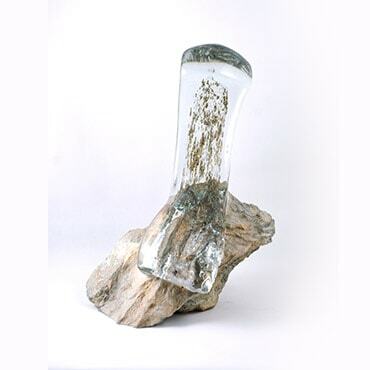 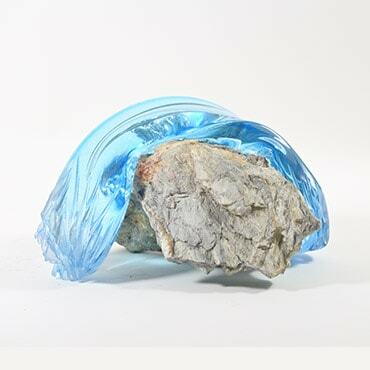 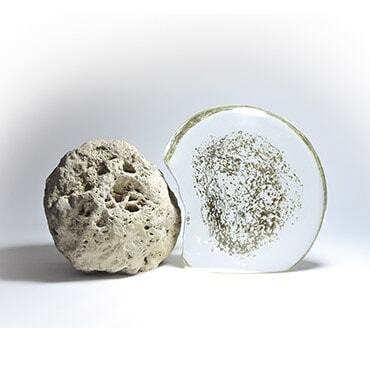 They draw their inspiration in the very story of these singular rocks, which are peculiar in that they turn to glass as a result of a fiery lightning strike. 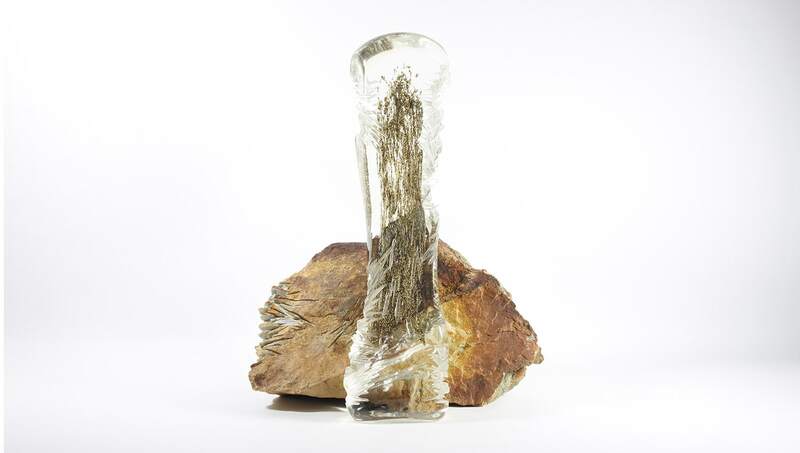 These silicate rocks can be found in the Vallée des Merveilles in the hinterland of the Côte d’Azur, amongst other places. 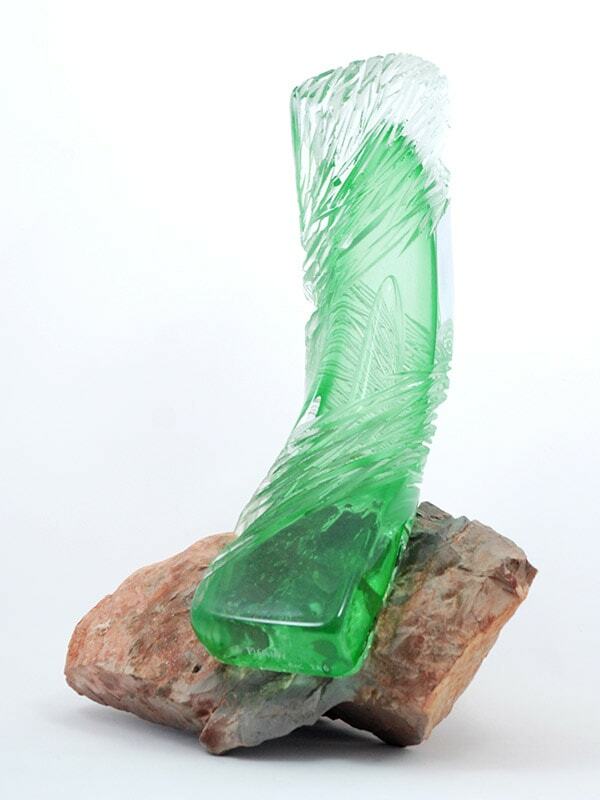 The liquid and brilliant reflection of the glass which captures the light as it plays on the stone is admirable, symbolising sometimes the frozen torrents and waterfalls of the mountains. 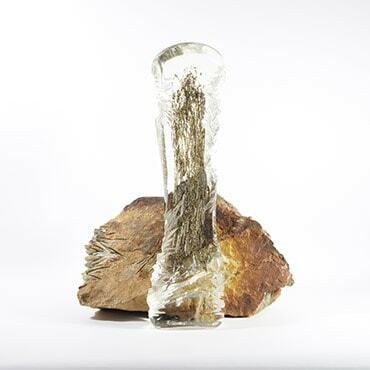 Not to mention the phenomenon of the boiling transformation of rock to liquid referred to here by a series of golden bubbles inside the glass.